Lok Sabha Elections 2019 will be held in seven phases. Voting for the first phase will be held on April 11 and the states in last phase will go to polls on May 19. The counting of votes will be held on May 23. Lok Sabha Elections 2019 Live: The Nishad party has taken a decision that they are not with the ‘gathbandhan’, they are free, can fight elections independently and can look for other options as well. The party is free now, says Nishad Party chief Sanjay Nishad. Lok Sabha Elections 2019 Live: Congress General Secretary for Uttar Pradesh (East) Priyanka Gandhi Vadra holds a roadshow in Ayodhya. Lok Sabha Elections 2019 Live: Mutyala Papa, former MLA from Narsipatnam, joins TDP along with her husband Peda Babu and her followers, in presence of TDP president and Andhra CM N Chandrababu Naidu. Lok Sabha Elections 2019 Live: Gujarat High Court rejected Congress leader Hardik Patel’s plea seeking suspension of his conviction in a rioting case of 2015 in Mehsana. As per the Representation of the People Act, 1951, Hardik Patel won’t be able to contest the upcoming Lok Sabha Election due to his conviction. Lok Sabha Elections 2019 Live: Prime Minister Narendra Modi on Friday addressed a public rally in Odisha’s Koraput ahead of general elections. 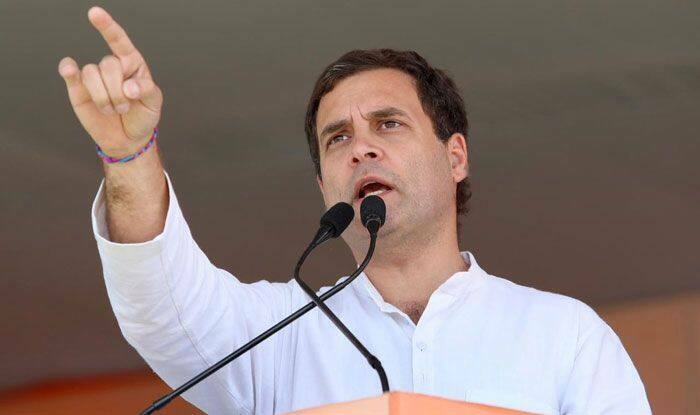 Addressing the crowd, he slammed the Opposition for questioning India’s pre-emptive strike on Jaish-e-Mohammed (JeM) terror camps in Balakot, Pakistan. He also asked the people of the state to choose wisely whether they want a ‘majboor’ government or a ‘mazboot’ government’. Later in the day, PM Modi also addressed rallies in Telangana and Andhra Pradesh too and slammed the state government over several issues. While in Bihar, the Mahagathbandhan announced the seat-sharing agreement for the upcoming Lok Sabha Elections. “RJD to contest on 19 seats including Bhagalpur, Banka, Madhyapura, and Darbhanga. RLSP (Rashtriya Lok Samta Party) to contest on five seats, Congress to contest on nine seats including Patna Saheb… Sharad Yadav to contest from Madhepura, Sarfraz Alam from Araria and Misa Bharti from Pataliputra,” Tejashwi Yadav said at a press meet. Meanwhile, the Congress general secretary in-charge for eastern Uttar Pradesh Priyanka Gandhi Vadra reached Ayodhya on Friday morning. On Thursday, she had sent ripples across the political spectrum with her reply to party workers’ request to contest Lok Sabha Elections 2019 from her mother and UPA chairperson Sonia Gandhi’s parliamentary constituency Rae Bareli. “Why not Varanasi?”, she had asked.